SCOUTS South Africa does not exist in isolation. We are part of a local and global community and work in partnership with others, from individuals to organisations and institutions. As a non profit organisation we rely on local partnerships and donations for our sustainability and quality programmes and initiatives. We are grateful to all our current donors and partners who make Scouting a reality to over 308 000 members nationwide. Your support and donations make it possible for us to contribute to the development of children, youths and young adults. Not only have you contributed to the sustainability of Scouting in South Africa but you have made it possible for us to train youth in responsible leadership, in good citizenship and simultaneously in developing their spiritual, social, intellectual and physical qualities. Since 1908 SCOUTS South Africa contributes to the education and character building of young people, based on the values captured in the Scout Promise and Law. In order to build and establish meaningful relationships and programmes that add value to the lives of our members and communities our partnerships range from short term project focussed agreements to long term comprehensive programmes. Corporate: DDB Johannesburg, Lava Lamp, Exclusive Books, Nvest Development Solutions, Interpak Printing, Pick and Pay, Gavin Withers Photography, AdventureLife! Funders and Foundations: Ackerman Family Foundation, Umckaloabo Foundation (Germany), National Lottery Distribution Trust fund, Stop AIDS Now!, Oxfam Novib (The Netherlands), Abe Bailey Trust, Malberger Foundation. Certain partnerships and initiatives have been developed around themes to address a number of societal needs. 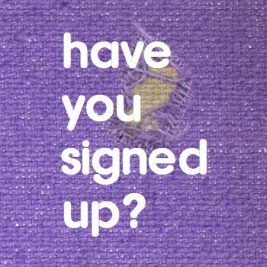 Have you signed up to your Regional mailing list?